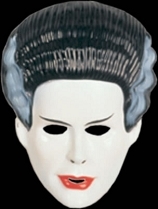 PVC masks are a Halloween classic. 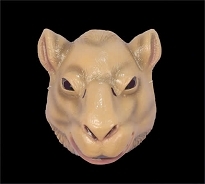 Most are completely rigid and only cover the front of the face. 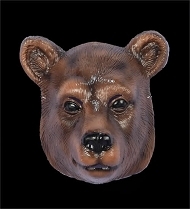 Many Halloween enthusiasts write off this type of mask as being cheap or childish but think again. These low-tech masks have a few major points going for them. One, they're extremely affordable, making them a great choice for a low-budget costume or to buy in numbers for large groups. Two, they can be put on and taken off super quick, which makes them perfect for kids (and for anyone who can't stand having something on their head all night). Three, they have a huge nostalgia factor! 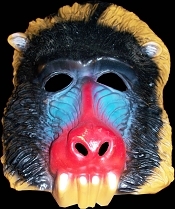 How many of us fondly remember our very first Halloween wearing one of these? That's why we have them in both kids' and adults' sizes! 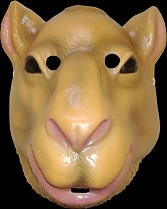 At Halloween-Mask.com we have more PVC masks than you can shake a treat bag at. We have cartoon characters like the Flintstones, Loony Tunes, Scooby Doo, and more. 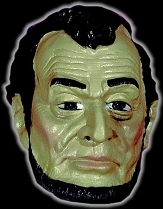 We also have historical figures, animals, pirates, monsters, dinosaurs, pumpkins, and others. Take a look and contact us with your questions!